HomeWhy did smoke cause the a reddish sun? 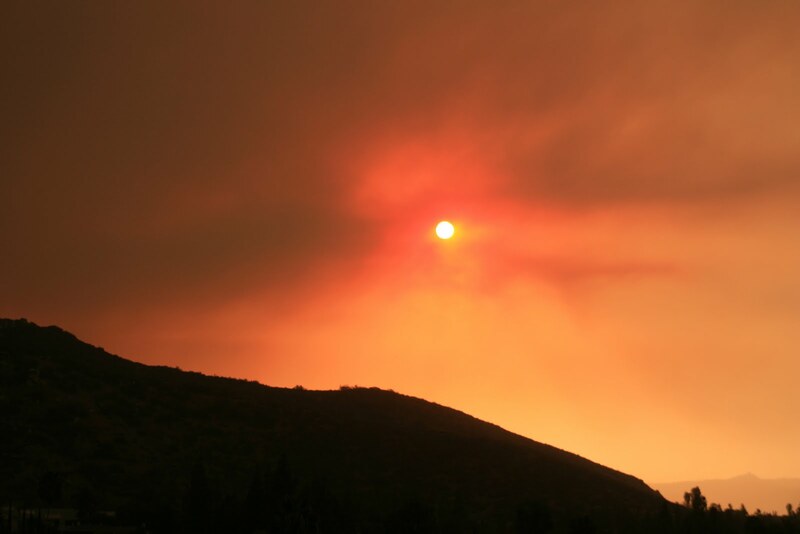 Why did smoke cause the a reddish sun? 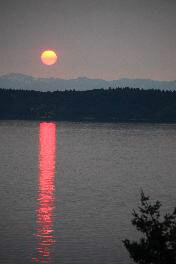 On Sunday a number of you noted the reddish color of the sky and the orange-red hue of the sun. I mentioned in my blog that day that this was the result of smoke from wildfires, blowing in from BC (the main origin) and eastern Washington. But why does smoke cause the red coloration? The reason? The scattering of light by small particles in the atmosphere--also known as Rayleigh Scattering. It also explains why the sky is blue! The light from the sun contains all wavelengths and is essentially white. 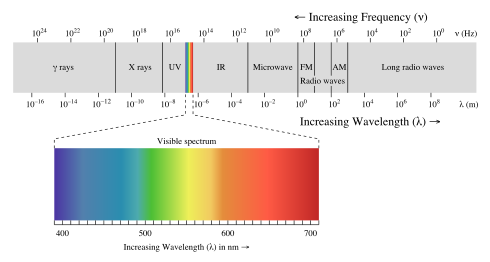 White light possesses contributions from all wavelengths (or colors) in the visible spectrum (see figure). On the shorter wavelength side there is blue and on the longer wavelength side there is red. It turns out the small particles in the air (small compared to the wavelength of light) can scatter incoming light into various directions and that they scatter short wavelengths (purple and blue) much more than longer wavelengths (orange and red). So the light coming in from the sun is white with all wavelengths, but the molecules in the atmosphere scatter blue light more than other wavelengths. That blue light then bounces around between molecules and down to earth and when you look at the sky in a direction other than the sun, you see this scattered light (see figure below). That is why the sky is blue. Now if you add a lot more small particles--like a nice dense smoke plume--you get scattering on steroids. Not only blue and purple get scattered, but so does a lot of the greens and yellows. So what does that leave? Oranges and reds. And thus the sun's rays have a red and orange color...and that is what we saw on Sunday. 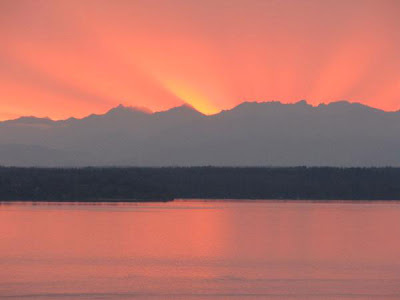 A similar effect occurs near sunset, when the sun's rays have to pass through a greater distance in the atmosphere. Finally, a number of you have asked about a potential aurora tonight....this is a bit out of my field...but from my checking out the latest aurora websites it does not appear that we will see any here in the Northwest. The Unimaginable: No Clouds--But Smoke is Back!